Charles Sturt University (CSU) research has been ranked well above world standard in key research fields, according to the Australian Research Council's (ARC) Excellence in Research for Australia (ERA) 2018 outcomes released today. ERA measures the quality of research produced by Australian universities against world standards and provides ratings of discipline areas in broad and specific fields of research. CSU was ranked the highest rating of 5 – ‘well above world standard’ − in physical sciences (astronomical and space sciences) and in horticultural production. Seven broad fields of research and 17 specific fields of research have been evaluated at world standard or above, growing from five and 16 respectively in 2015, and four and 10 respectively in 2012. CSU Vice-Chancellor Professor Andrew Vann said CSU’s performance in the ERA 2018 assessment showcased the University’s excellence in research. 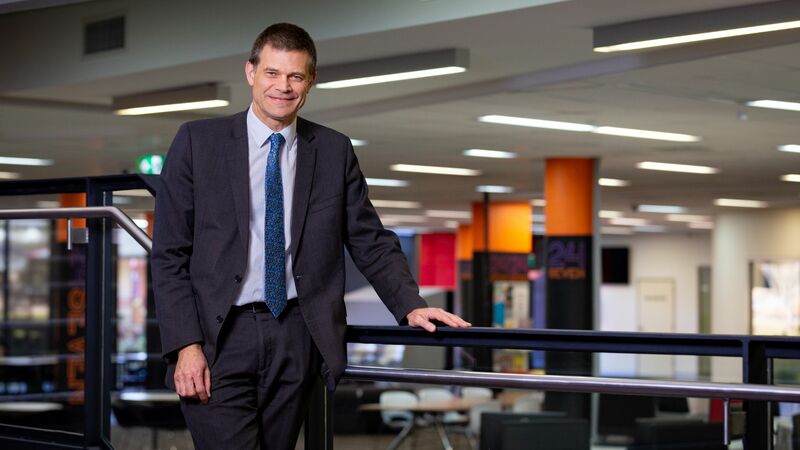 “Charles Sturt University’s ‘above world standard’ results are the outcome of our ongoing, strategic commitment to research,” Professor Vann said. Professor Vann said the University was not only delivering exceptional research outcomes but the impact of the research is wide-ranging. “At Charles Sturt University, the research we do has a strong focus on community impact,” Professor Vann said. CSU Deputy Vice-Chancellor (Research, Development and Industry) Professor Heather Cavanagh said, “These ERA results highlight the diversity and quality of research at Charles Sturt University. “The ‘well above world standard’ rankings are supported by ‘above world standard’ ranks for environmental science and management, agricultural and veterinary science, library and information studies, curriculum and pedagogy, and applied ethics. Professor Cavanagh said that the ERA 2018 results show that CSU research can hold its own against the world in a wide range of disciplines. “The diversity of the 17 specific fields of research which achieved world standard or better reflects the depth and breadth of Charles Sturt University’s expertise and demonstrates our commitment to provide diverse, meaningful outcomes across our expansive footprint,” Professor Cavanagh said. CSU’s seven broad fields of research evaluated at world standard or above (ERA ranking 3 or above) were: Physical Sciences (ERA 5); Agriculture and Veterinary Sciences (ERA 4); Environmental Sciences (ERA 3); Information and Computing Sciences (ERA 3), Education (ERA 3), Studies in Human Society (ERA 3); and, Philosophy and Religious Studies (ERA 3). CSU’s 17 specific fields of research evaluated at world standard or above (ERA ranking 3 or above) were: Astronomical and Space Sciences (ERA 5); Horticultural Production (ERA 5); Environmental Science and Management (ERA 4); Veterinary Sciences (ERA 4); Library and Information Studies (ERA 4); Curriculum and Pedagogy (ERA 4); Applied Ethics (ERA 4); Biochemistry and Cell Biology (ERA 3); Animal Production (ERA 3); Crop and Pasture Production (ERA 3); Artificial Intelligence and Image Processing (ERA 3); Nursing (ERA 3); Education Systems (ERA 3); Marketing (ERA 3); Criminology (ERA 3); Sociology (ERA 3); and, Philosophy (ERA 3).